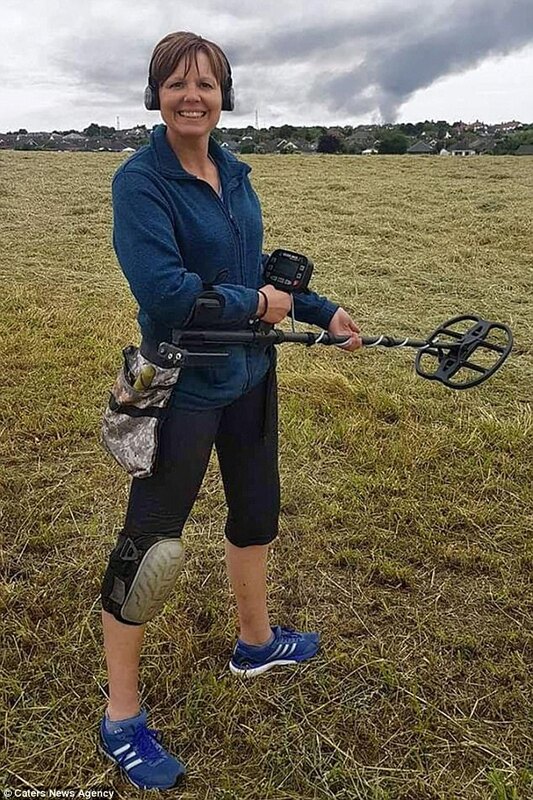 An amateur metal detector struck gold when she stumbled across a rare 500-year-old coin near one of England's most historic battlefields. The coin, minted during the doomed reign of King Richard III, is one of only a handful still in existence. 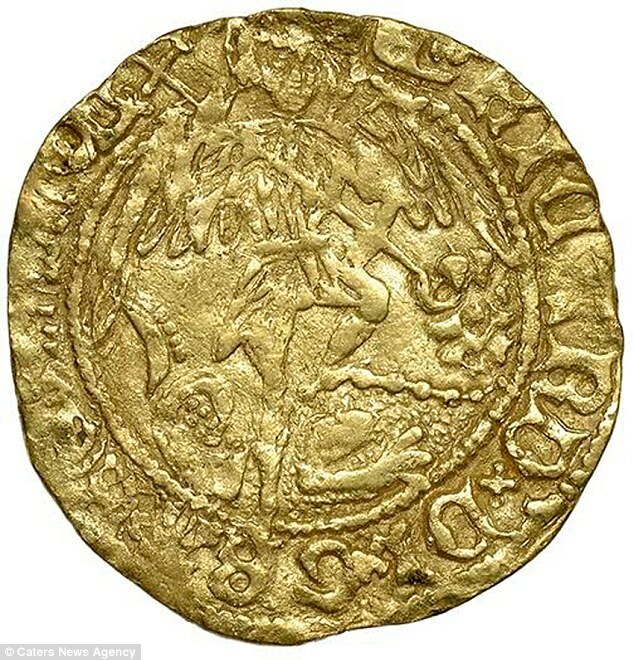 Experts speculate the gold coin may have been dropped by one of Richard's soldiers fleeing the pivotal Battle of Bosworth Field in 1485. Richard III was killed in the battle and his opponent, Henry Tudor, seized the throne to begin the Tudor dynasty. 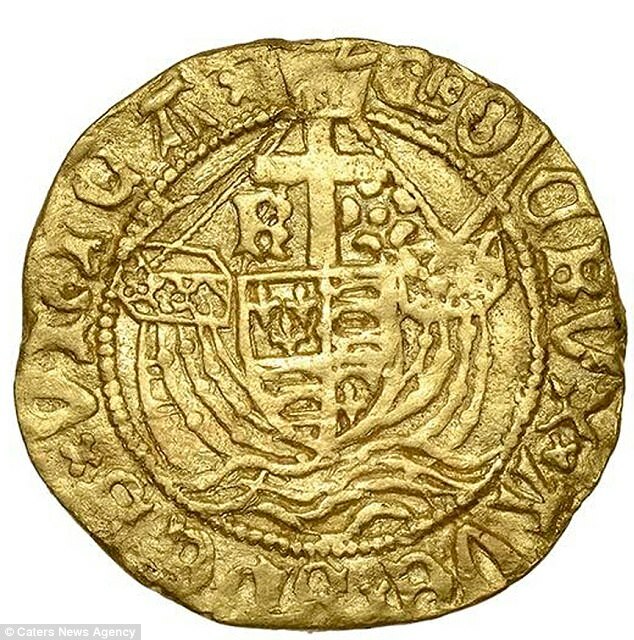 Michelle Vall, from Blackpool, was detecting close to Bosworth Field when she dug up the old coin called a half angel. It is now set fetch £15,000 ($20,000) at Dix Noonan Webb's auction of coins, historical medals and paper money on 13 December. 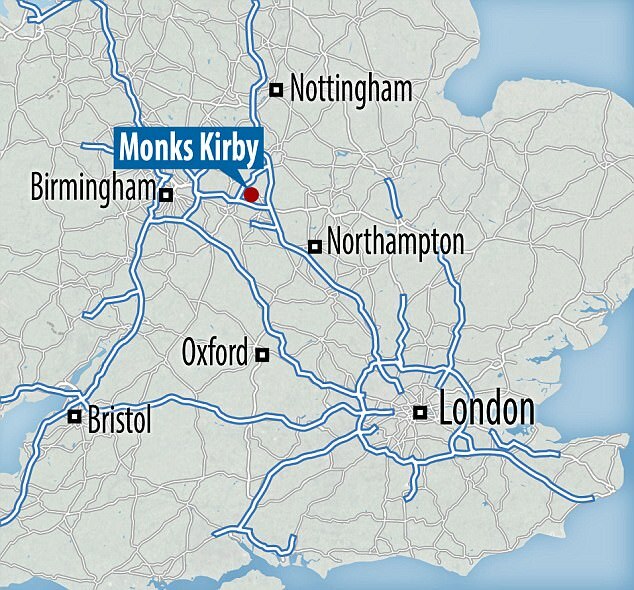 Ms Vall, 51, made the rare discovery in Monks Kirby, Warwickshire, during a charity detecting rally in September. The teaching assistant said: 'After detecting for two and a half hours in a farmer's field I got a signal. 'The coin was deep down, about 16 inches below the surface, and the soil there is thick clay so it took a bit of digging out. 'I spotted this glint of gold in the hole, although I obviously did not know exactly what it was at first. 'I put it in the palm of my hand and then I went back to the organiser's tent. One of them identified it and people became very excited. The half angel was a gold coin roughly two centimetres in diameter and weighing just under three grams. It was introduced in 1472 during the reign of King Edward IV. Angels and half angels continually fluctuated in value under the reigns of several kings before they were abolished and replaced by Guineas by King Charles II in 1663. Ms Vall's discovery of the coin minted during Richard III's short two-year reign makes it a rare example and an exciting find for the detector who only took up the hobby two years ago. She said: 'I have decided to sell it because it is too valuable to keep. I did not want to keep it in a cupboard. 'I feel very privileged that I have found something so precious and historic. The memory of that day, the excitement not just of myself but also of other detectorists, when I found that beautiful, tiny piece of historic gold will live with me for the rest of my life. 'I started detecting because I am a keen antique collector and walker and when I became aware that it is a popular activity and there are clubs you can join with like-minded people, I realised that it combines the best of both my passions. Ms Valls goes detecting with her husband most weekends. 'It has improved my historical knowledge which I pass down to the children in the school where I work', she said. 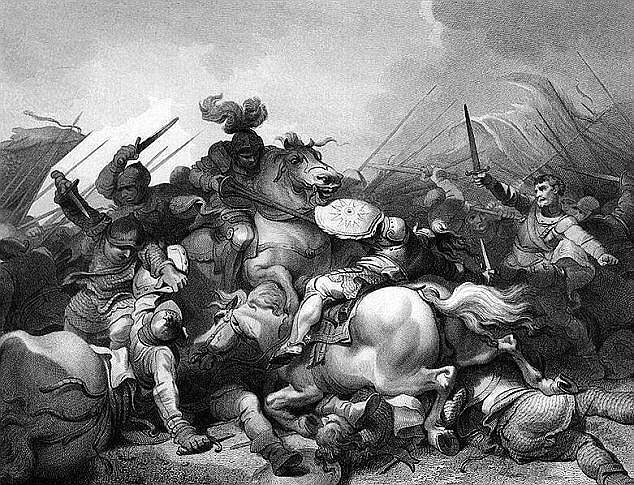 The Battle of Bosworth Field was fought on 22 August 1485. It marked the end of the thiry-year long Wars of the Roses between the Lancastrians and the Yorkists for the English throne in the latter half of the 15th century. Lancastrian Henry Tudor defeated the last Yorkist King Richard III and started the Tudor dynasty, which ruled England for the next 118 years. Christopher Webb, head of the coins department at Dix Noonan Webb, said: 'This is a very rare discovery that has miraculously survived in a Warwickshire field for more than five centuries. 16 inches below surface in clay. Could this coin be battle booty a soldier found on a corpse and buried it with intention of retrieving the coin. A fortune in 1485.